Extended hours available, no extra charge. Closed Tuesdays & Wednesdays in off peak periods. Situated just 3 hours south of Sydney’s CBD and 3 hours from Canberra the peaceful, beautiful island township of Sussex Inlet is a haven for tourists, holidaymakers and fisherpersons. At the end of the main road into Sussex Inlet, is SUSSEX INLET MARINE CENTRE, your one stop shop for boat, kayak, canoe, stand-up paddle board, slipway, moorings, bike and scooter hire, tackle, bait, boat bits, ice creams, drinks, sweets and an on the water petrol bowser. 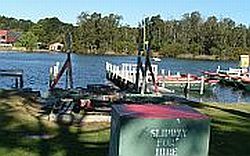 Whether you are planning a few hours fishing or a little sightseeing around our pretty island township our fleet of 12 hire boats includes comfortable aluminium and clinker built dinghies all fitted with a motor, petrol, oars, bucket and lifejackets and have a maximum capacity of 6 people per boat. The boats are easy to operate and great for families. Canopies are also available for hire at a small extra cost and we welcome dogs on our boats. Rod and handline hire is available for individuals or groups. Sussex Inlet Marine Centre holds a Waterways Hire and Drive Licenced. For those who prefer a more physical challenge, Sussex Inlet Marine Centre also has two double and four single kayaks for hire. Looking for something different for your Corporate team building event or school group, why not consider Sussex Inlet Marine Centre for your next venue. We will readily cater for your groups’ needs. Bank Card required for hire. The kiosk and shop provides all your fishing, boating and snack needs. 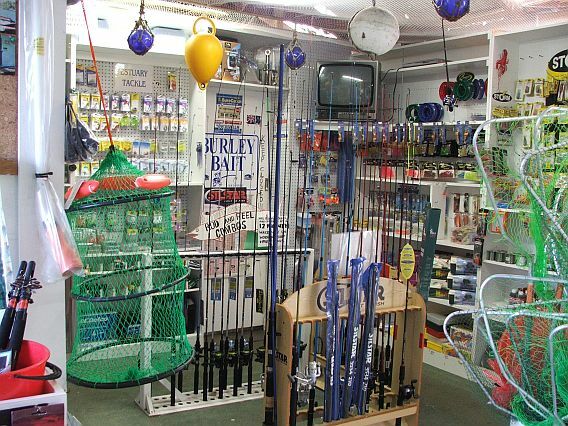 Be it hooks, sinkers or other tackle bits; rods – either combos or “do it yourself” set ups; nets for prawning, crabbing or that holding net for your prized catch; bait, petrol or boat bits we have it all. Our experienced staff will happily answer your questions where the fish are biting and provide an insight on the best spots to make your visit more enjoyable. For your day out on the water or for a snack whilst strolling the foreshores, our kiosk sells Espresso coffee, ice creams, water and soft drinks and the “old style” choose yourself lollies. If running repairs are needed for you boat, we have anchors, spark plugs, globes, oils, bungs, parts for rope repairs and other accessories. Sussex Inlet Marine Centre is also an authorized agent for Fishing Licences and Boat Coding. Plus fish food for fish feeding for the children and the young at heart. If you own a boat Sussex Inlet Marine Centre can provide a mooring for your vessel. At $10 a day, the eight mooring berths are an easy, short walk to shops, cafes, local clubs, caravan parks and holiday units. The moorings can be hired overnight or for extended periods. Bookings are suggested for the peak season, public holiday weekends and annual fishing carnivals. Being centrally located on the Inlet, our slipway is ideal for the annual maintenance of your boat. With a capacity of boats of up to 5 tonne and 8 metres in length, our prices are $100 up, $50 a day (if you do the work) and $100 down with use of the gurnie (Karcher) just $25 per day. If we do the work for you, the fees are $100 up, materials and labour costs and $100 down.